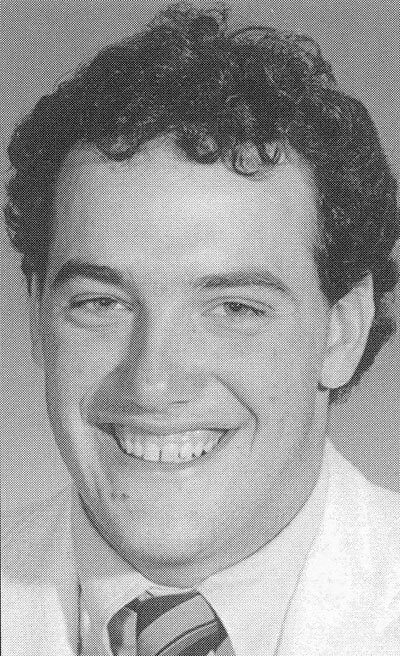 Tom Bolyard, a 1985 graduate of Orrville High, earned 10 letters at OHS. He was an outstanding baseball player and a first-team All-Ohioan in both football and basketball. The starting quarterback for the Red Riders, Bolyard was named First-team QB on the prestigious Parade All-American team after his senior season. He was also UPI’s First-team Class AAA QB and Second-team punter, as well as AP’s Second-team signal caller. USA Today picked him as an Honorable Mention All-American and he was The Wooster Daily Record and Akron Beacon Journal Player of the Year. In addition to his talents under center, Bolyard averaged over 40 yards a punt and kicked a school-best 47-yard field goal. The All-State honors continued in basketball, as Bolyard earned First-team berths on both UPI’s and AP’s Class AAA squads. Ohio’s coaches chose him as District IV Player of the Year, he was MVP of the All-Ohio League and averaged 23.9 points and 10.2 rebounds a game in 1984-85. Bolyard was MVP of the North-South All-Star football game in 1985, and played in the same game in basketball, winning the slam dunk crown. He received a scholarship to play football at Ohio State, and after redshirting transferred to Northeastern Oklahoma A & M, quarterbacking that school to a JUCO National Championship. His career then took him to Indiana University, where he was punter and backup quarterback in 1987. He led the Big Ten in punting one year, and then received several NFL tryouts, including a brief stint with the Cleveland Browns.